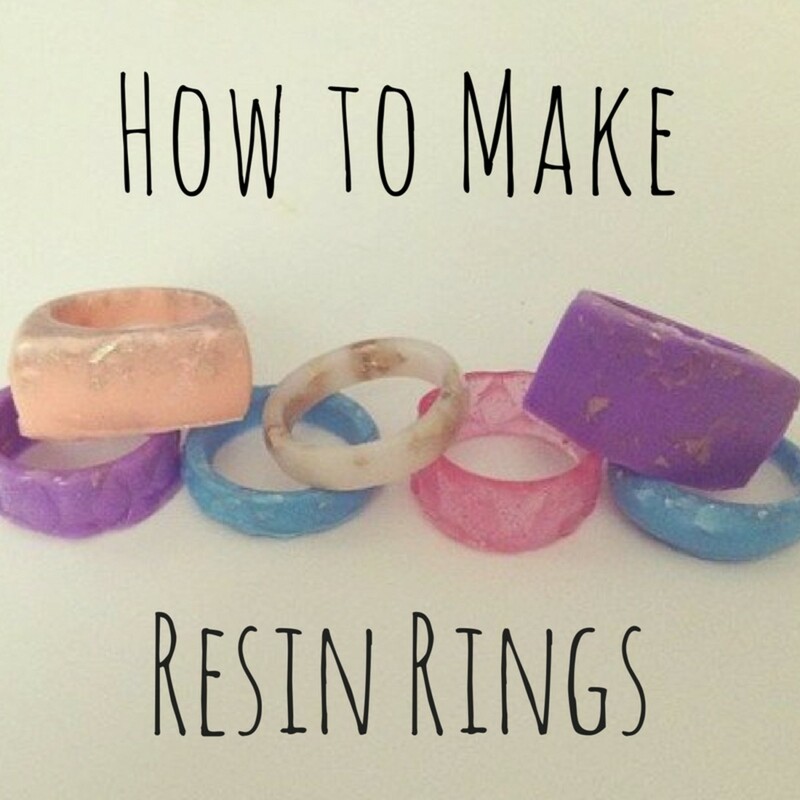 Learn how to make custom rings using resin! The process isn't hard, but it can be tricky. It'll probably take you a few tries to get the perfect ring shape. 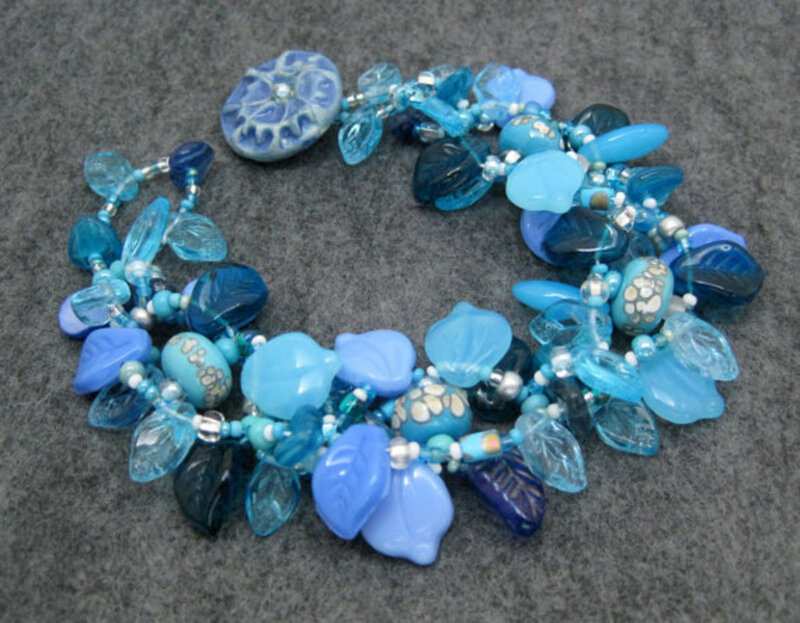 Because of the nature of the material, only teens and adults should work with resin. 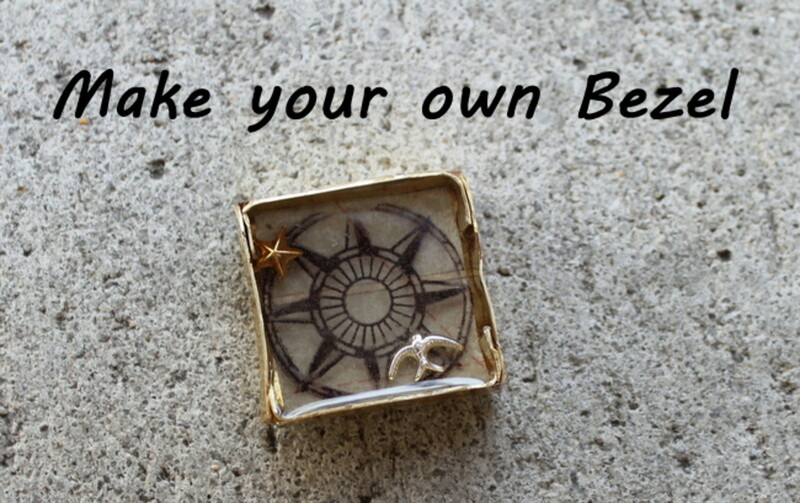 I hope you enjoy creating one-of-a-kind jewelry pieces for your wardrobe! 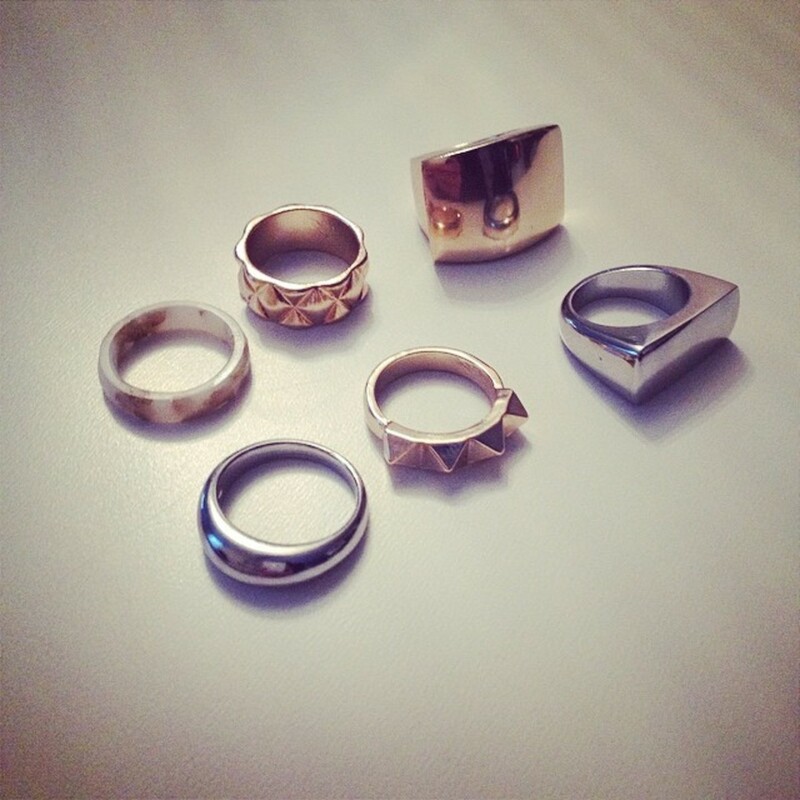 I bought a few inexpensive rings from stores like Forever 21. 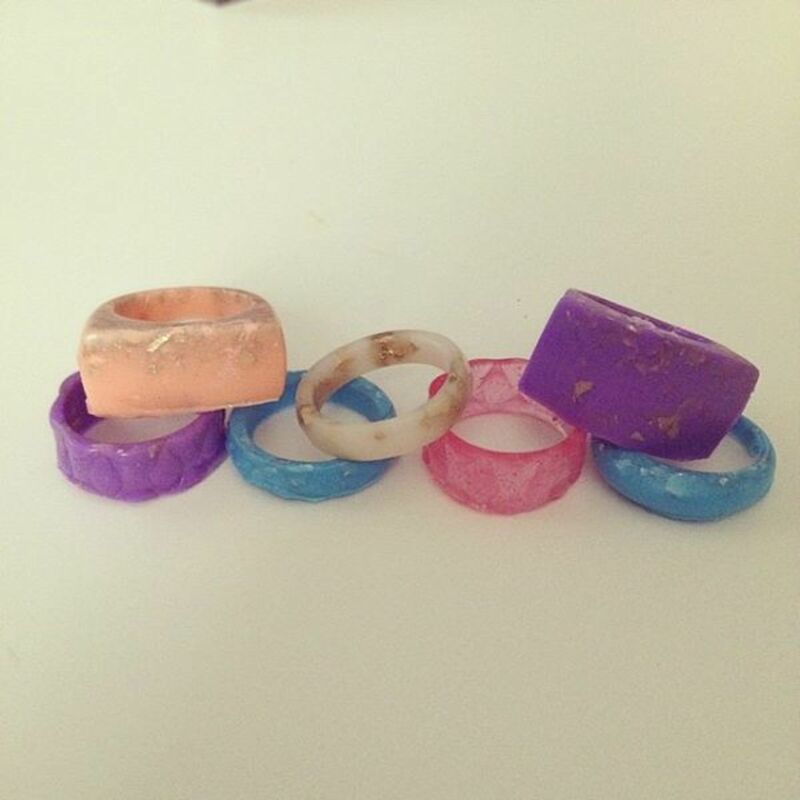 Don't use expensive or faceted rings because the ones you use need to sit in the mold for 25 minutes. 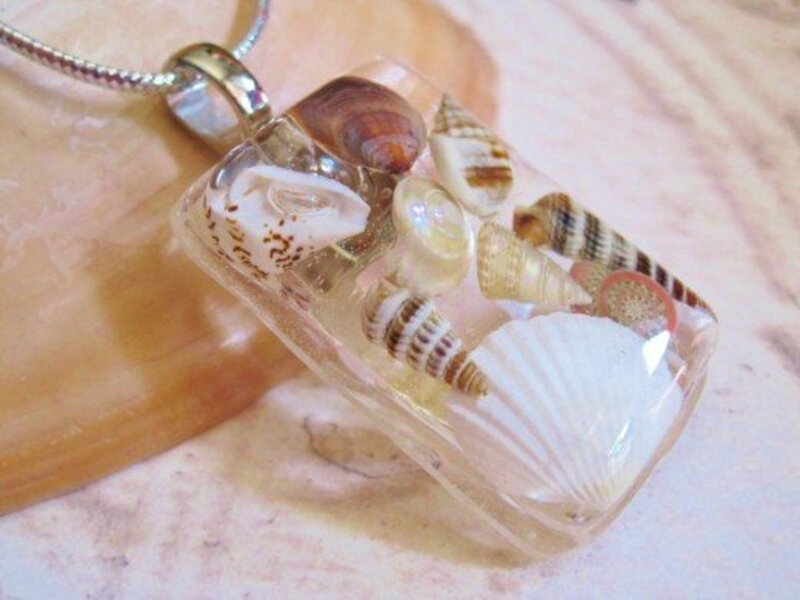 The material could damage the ring, so you don't want to ruin items you treasure! 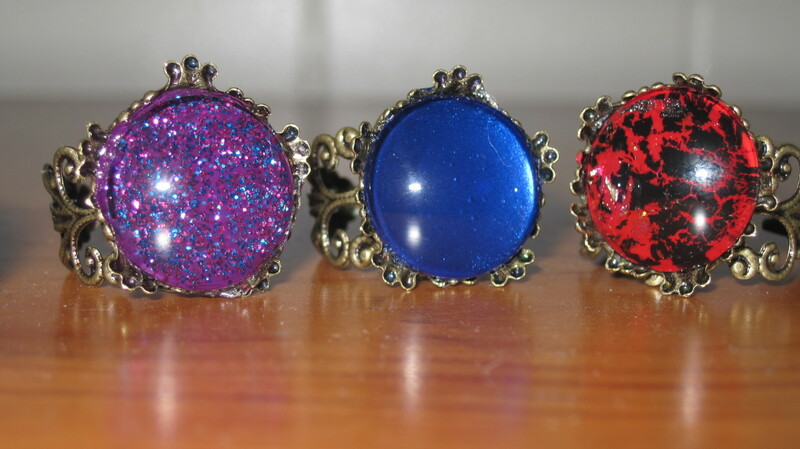 Once you have the rings, create the molds by following the kit's instructions. I've provided the basic steps below. Take equal parts of the two containers (A & B) and mix until it's uniform in color. Form a ball and start to flatten it slightly. 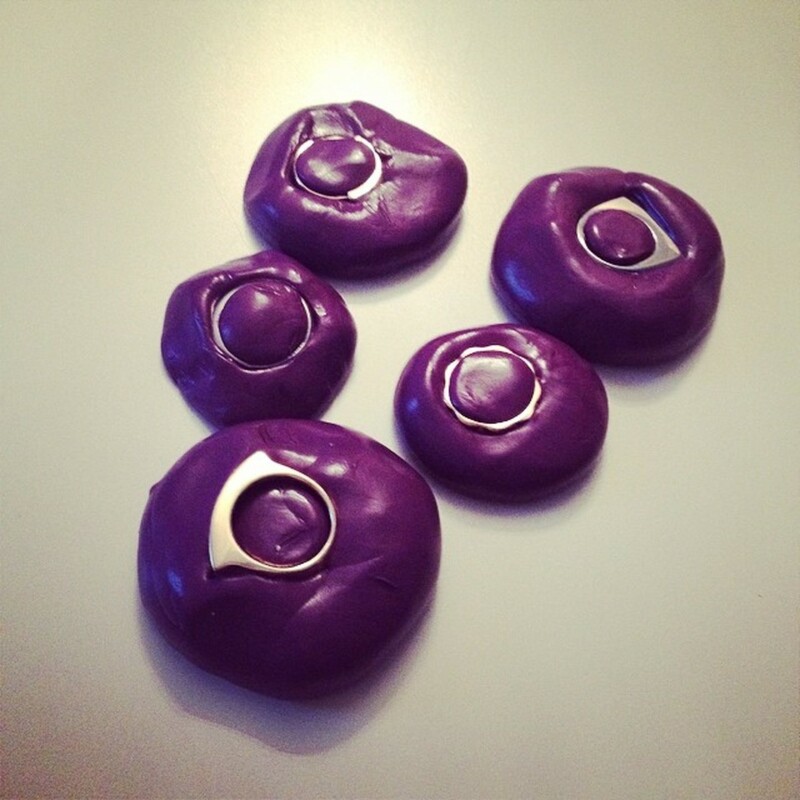 Push a ring into the putty to form a mold. Let the ring sit in the mold for 25 minutes before removing it. Wait at least 48 hours before using resin in the molds. I love the Castin' Craft Easy Mold Silicone Putty because it can be used to make molds of just about anything. 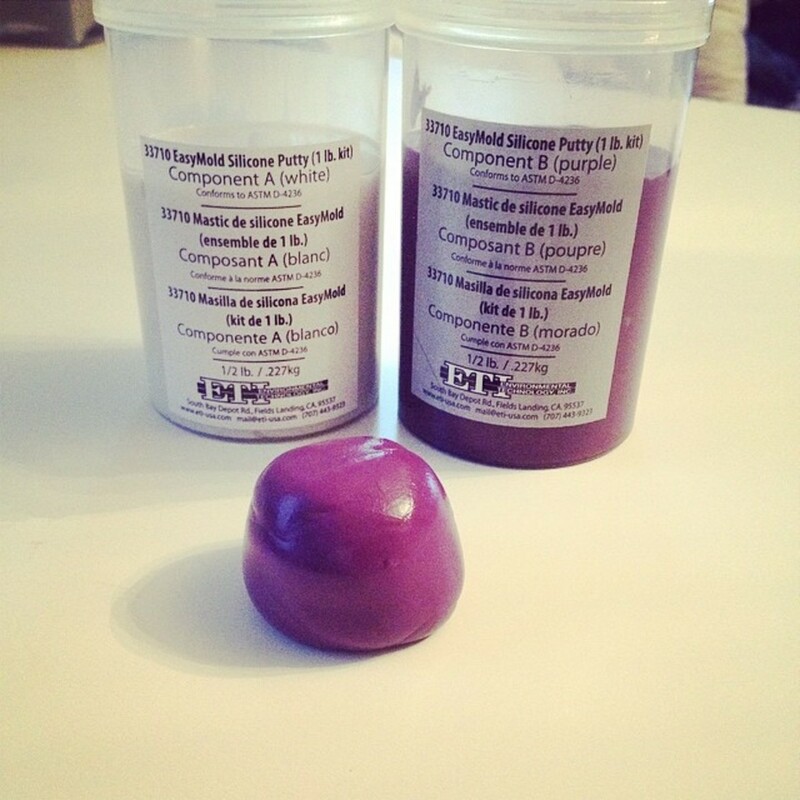 Another method you can use is to cast silicone rubber that you can pour, but you need to have a mold-making container to make this variety. I recommend the first option because I think it's a higher-quality material. 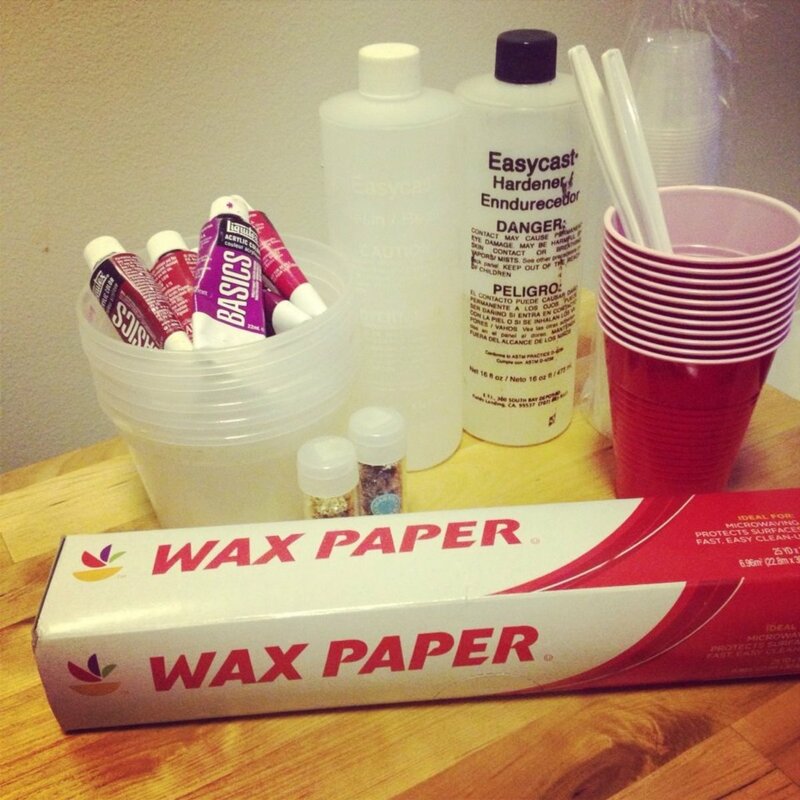 Always use wax paper to cover your work surface. When handling uncured resin, you must wear gloves. I use medical gloves that can be bought at any drug store. 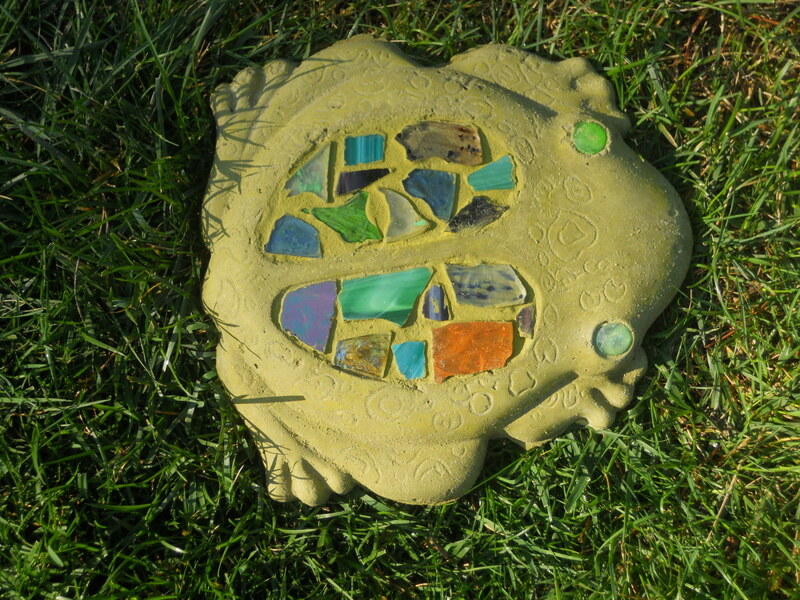 Do not mix the resin together until you are ready to pour it into molds. You'll be using two medicine cups, one for the resin and one for the hardener. 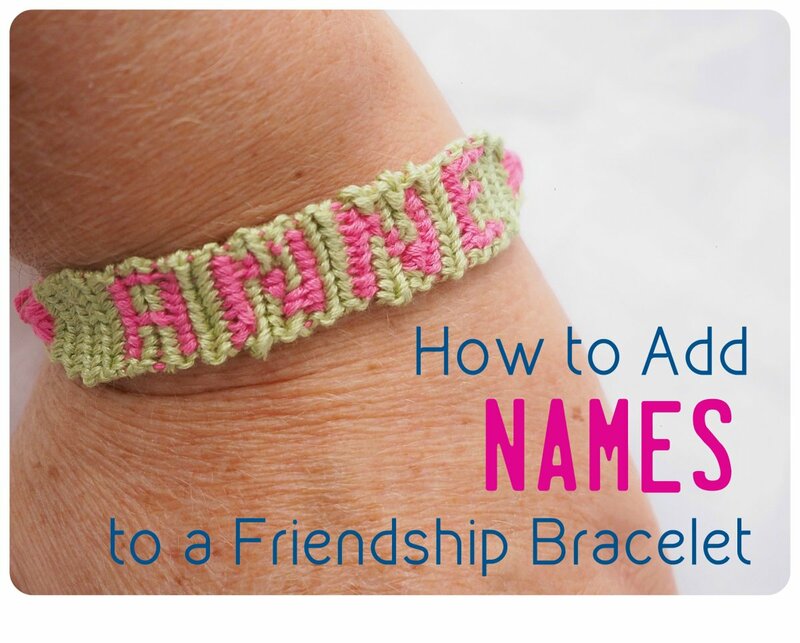 I usually mark them with an "R" and an "H" with a sharpie for easy identification. 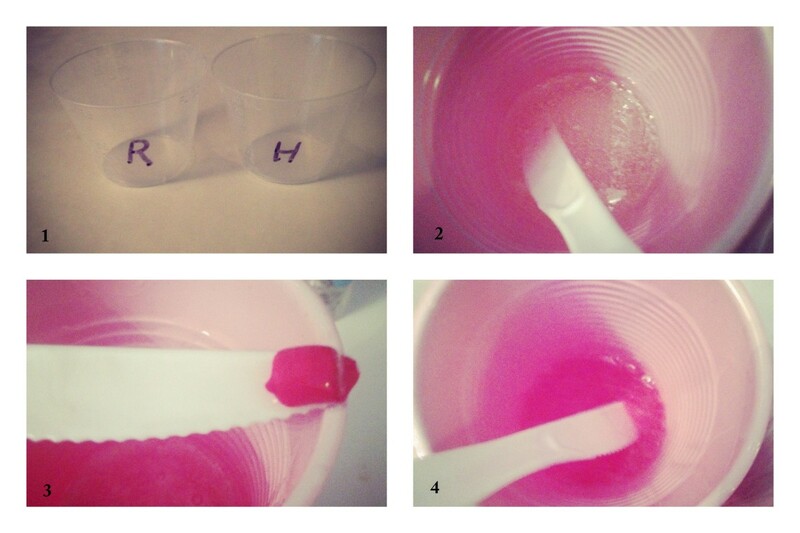 Mix the two ingredients (in equal parts) in a disposable plastic cup. Stir for as long as the directions state. 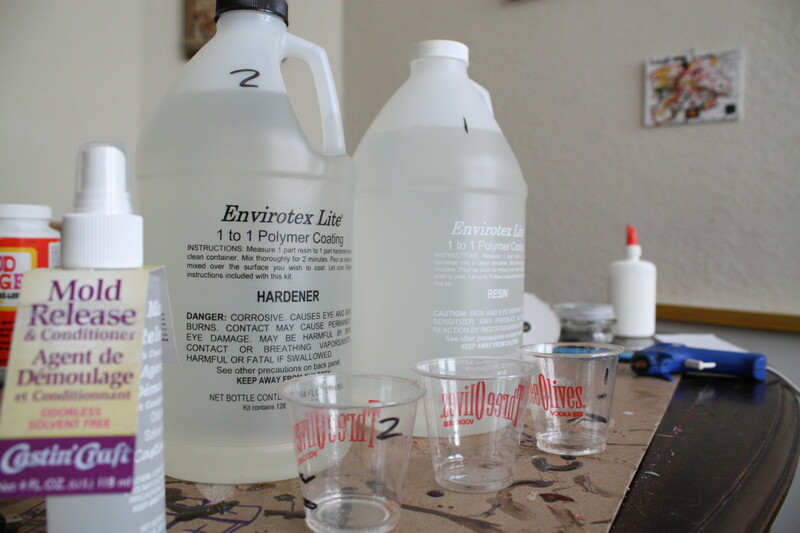 Use medicine cups to hold and color the resin before pouring it into a mold. 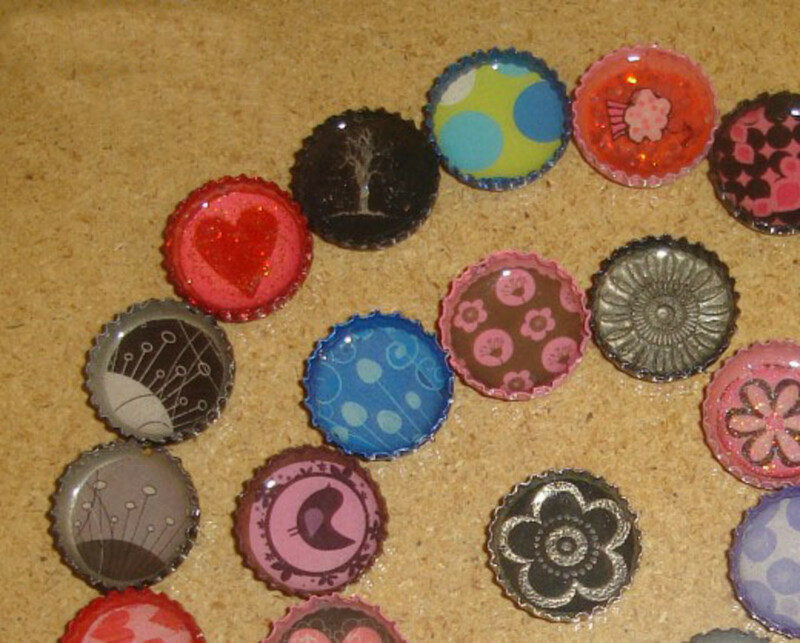 Add a little acrylic paint to each cup and then pour in a little resin. Stir until you get the desired color. You can also add glitter at this stage. 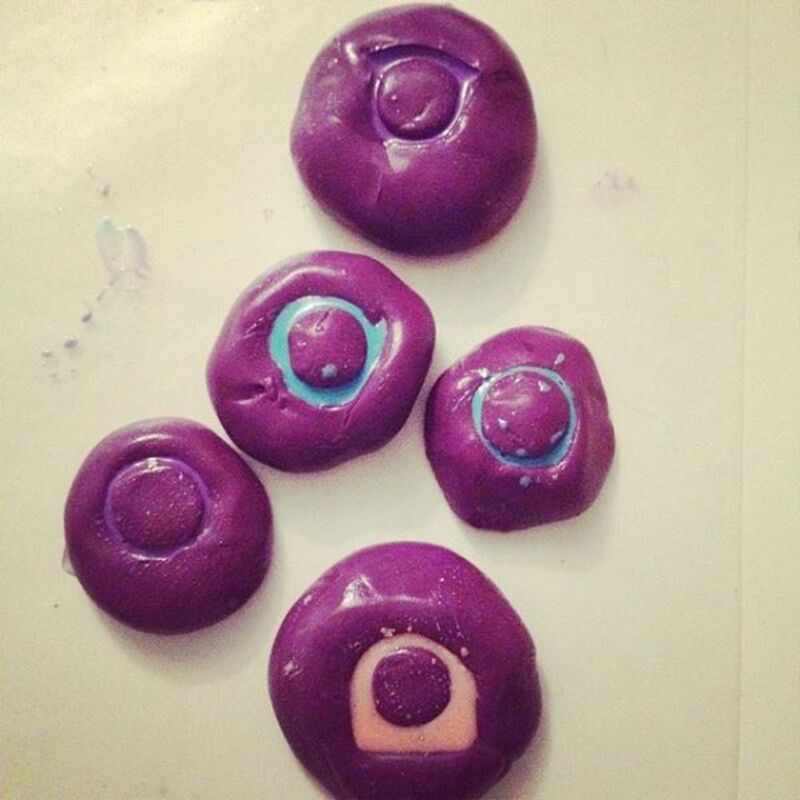 Add the resin immediately into the molds. Air tends to get trapped inside, so use a toothpick or plastic knife to remove any air bubbles. Squeeze and tap the mold a bit to help the resin settle. Wipe away any excess product. I use an old dishcloth to do this step. Do not use paper towels because they will get stuck in the resin! Let it harden in the mold for at least 24 hours. I suggest waiting 48 hours to make sure everything is completely set. If you want to add a shine after sanding, use a resin polish or add a fine coat of clear nail polish and let the ring dry.